From tailgate parties to galas, Amerigo has you covered for all of your catering needs. Our Sales Manager will work with you from start to finish so you can focus on your guests and enjoy the event. Pick-up orders, delivery and full-service catering services are available. Bartending services and packages are also available for catered events. Our professional staff is licensed and trained to serve your guests beer, wine, cocktails and signature drinks. For pricing and information, complete the inquiry form below and our Sales Manager will be in touch shortly! Whether you’re feeding 10 people or 300 people, Amerigo will deliver your favorite Italian dishes right to your door. Fresh salads and decadent desserts round off the perfect meal for your office meeting, team meal or family gathering. All catering orders include complimentary house-made focaccia bread with olive oil & herbs. Plastic plates, cutlery and cups are available upon request. Prices exclude tax and gratuity. For receptions and special events, we offer a more comprehensive menu for your guests to enjoy through 4Top Catering. 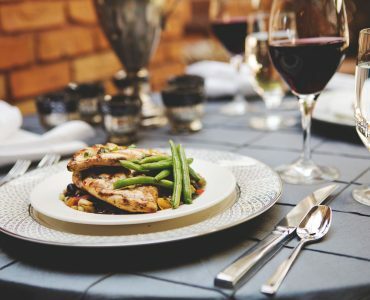 This full-service menu offers buffet, passed hors d'oeuvres and seated meal options from our family of restaurants. 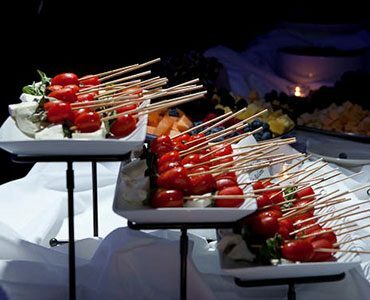 Event planning, staffing, rental needs and event execution are all included in this full-service catering option. 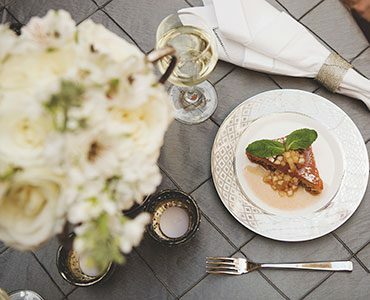 View the 4Top Catering website to view menus and begin planning your event! Please fill out this form to contact our sales manager regarding catering for your event.